Tens of thousands of patients a year in the US alone wake up during surgery. Due to a paralytic agent to prevent muscle twitches and tape over the eyes, the patient is unable to move or alert the medical staff to the situation. 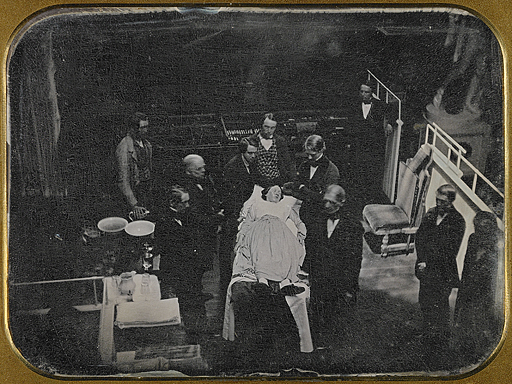 Josiah Johnson Hawes, Demonstration of the surgical use of ether, 1847.